Chances are, being an outdoors sort of person, you’ve probably stepped in the footprints of Julia Bradbury at some point. Julia must be Britain’s most prolific walker! Her TV presenting career has seen her trek the length and breadth of Britain looking for fun, challenging, breath-taking, hard-going and easily accessible walks we can all enjoy. Now, this month, you can join her on ITV for her new series ‘Julia Bradbury’s Australia’ as she flies further afield to journey from the West to the East coast of Australia. What’s more you can find all of Julia’s favourite walks on The Outdoor Guide, a website that Julia co-founded with her sister Gina four years ago. 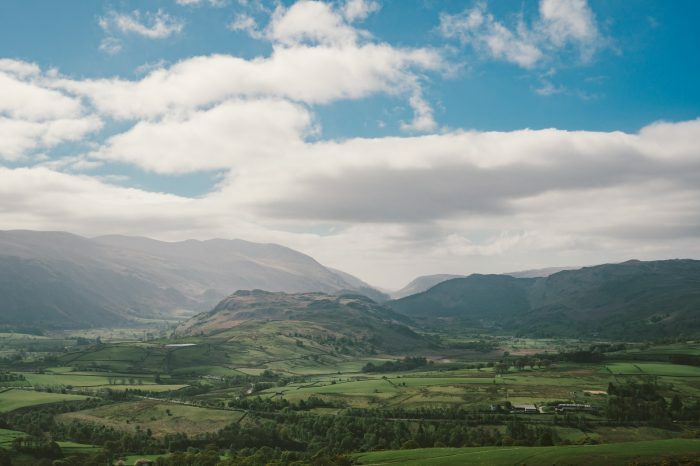 Alongside walks from her most recent TV programme, ‘Britain’s Favourite Walks: Top 100’, The Outdoor Guide also has a comprehensive collection of other fantastic routes that take us all over the UK and beyond, all contributed by The Outdoor Guide’s trusted community. With this much knowledge and experience, it was obvious we needed to speak to Julia and find out some of her top tips for helping all of us to enjoy our surroundings to the fullest. Especially as having worked together for more than seven years now, Gina, Julia and Nikwax Founder, Nick Brown, consider themselves friends. What’s the point in walking around Britain if you haven’t waterproofed your gear! 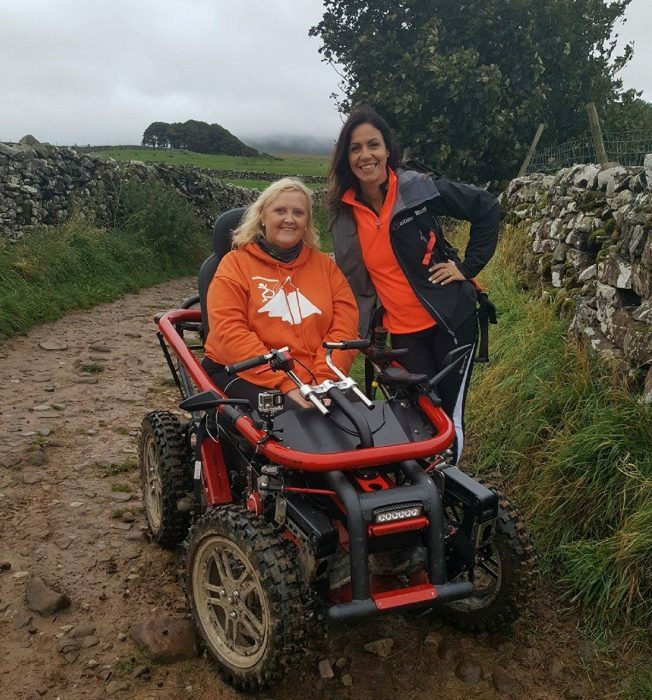 For the last few years, Julia has been working with Debbie North who is now an Ambassador for The Outdoor Guide (TOG) and runs the accessible branch of the website, AccessTOG. 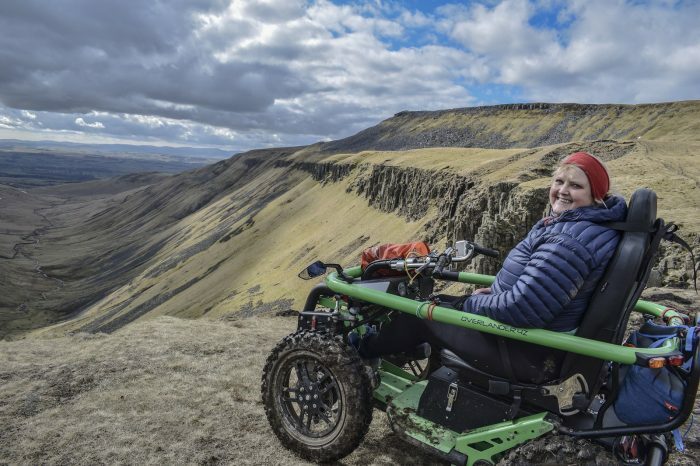 Debbie uses a range of wheelchairs to access the countryside in a bid to inspire everyone – whether on two feet, two wheels or four wheels – to explore in the fresh air. 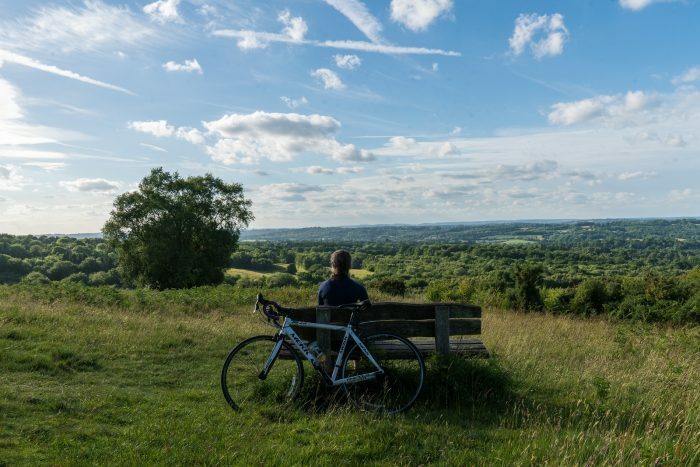 Here are some of Julia and Debbie’s best Wheel-friendly Walks from across the country, suitable for pushchairs, wheelchairs and bicycles. A delightful walk set in the Eden Valley. High Cup Nick is one often referred to as “The Grand Canyon of the North” – it is a truly a magnificent example of 500 millions of years of natural formation. From the very top the views take in the valley opening up under your feet, with the Lake District popping up in the distance. Ross on Wye in the county of Herefordshire is a beautiful market town situated on the River Wye and close to the Forest of Dean. The Wye Valley and the Forest of Dean are popular tourist destinations. Ross on Wye boasts that it is a ‘Walkers are Welcome Town’. With so many things to see and places to visit, it is not difficult to understand why. 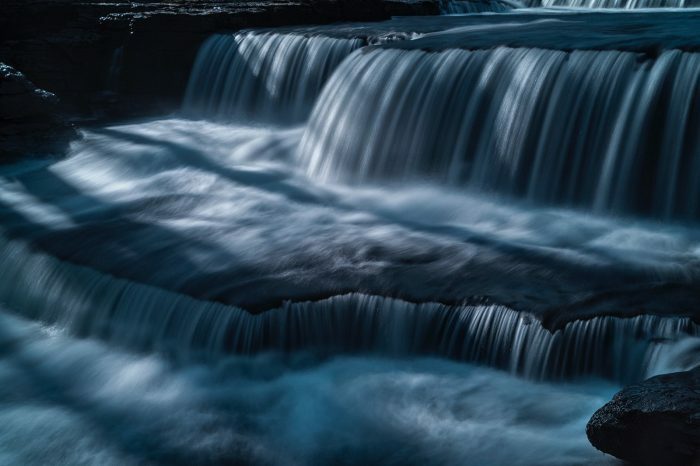 This 6 mile walk through delightful North Wales countryside starts at the man-made weir Horseshoe Falls, which is also the feeder for the Canal from the River Dee. The walk takes you over Pontcytsllte Aqueduct – the highest navigable aqueduct in the UK which is over 200 years old and offers stunning views. This is the South West Coast Path’s Wheel Friendly route at Botallack. This three-mile circular route takes you along the coast path and back through fields. Tramper users may want to retrace the route along the coast path from Botallack back to Levant. 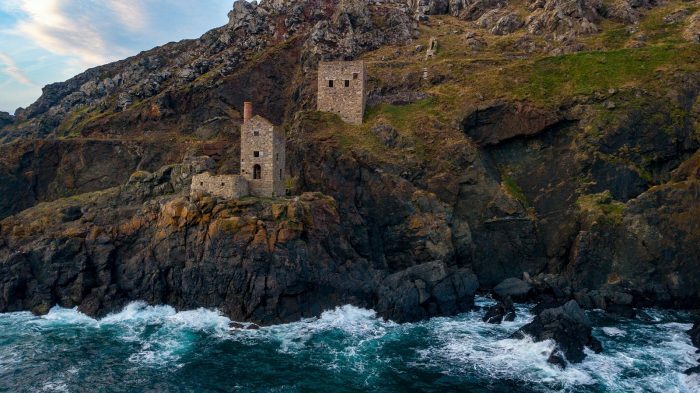 Along the way, you’ll pass a patchwork landscape of tiny elds bounded by ancient stone walls and dotted with iconic mine chimneys and engine houses. The Monsal Trail is a traffic-free route through the spectacular limestone scenery of the old Midland Railway line, and is ideal for walkers, cyclists, horse riders and wheelchair users. The full trail is 8.5 miles long but we’ve picked out a short stretch between Hassop and Headstone Viaduct. The Overstrand walk was designed by Tim Bennett, author and former headteacher of the local school. This fascinating route takes a tour of the impact the First World War (1914-18) had on the community of this fishing village.